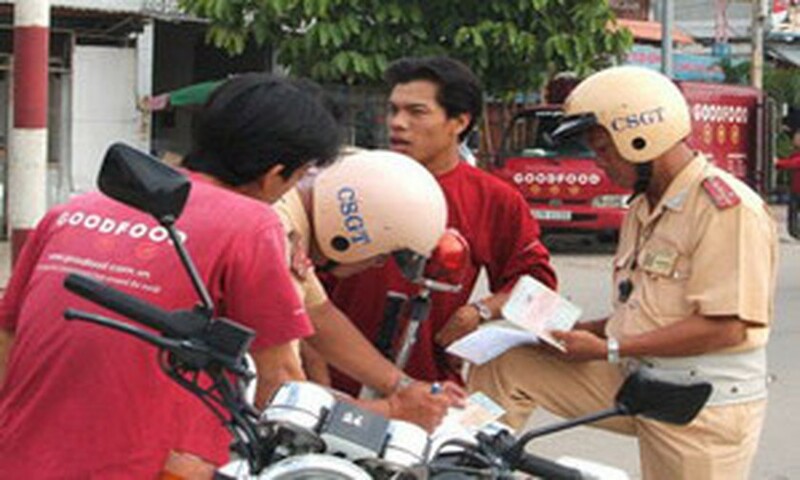 The capital city Hanoi handled 6,410 cases of traffic violation after ten days of implementing a plan to strengthen to check traffic violation, setting a record fine, said the city’s police on May 9. Traffic police handle a traffic violation case. Police had to wear civilian clothers to detect more traffic violation cases. More than 4,600 cases did not wear safety helmets, more 2,300 cases last year, said a police. Police also sent more than 5,850 messages to schools, companies and families where law breakers are studying, living and working, aiming to educate residents to implement traffic rules. The number of people not wearing safety helmet on many streets is increasing in the city, hence police set up some patrol groups with 20 traffic police officers for each to check and penalize traffic law violators.